I have a co-worker who’s head-over-heels in love with her cat. I have yet to meet someone who’s is as obsessed with their pet as she is. She says she couldn’t stand being away from it for a long time. She takes her pet anywhere she goes. Good thing our workplace is pet-friendly. 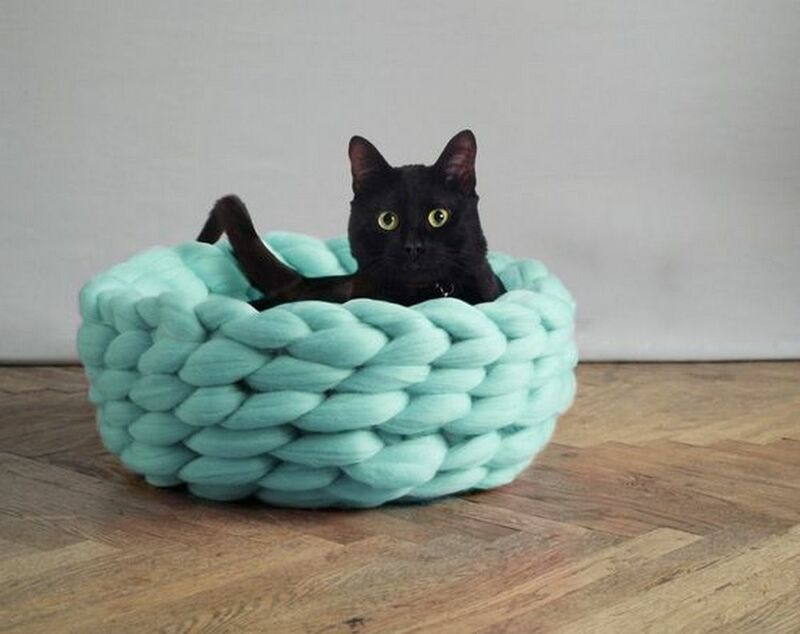 These DIY chunky knitted beds will be perfect as gifts for your pet-loving friends. Last month, her cat celebrated its birthday. Because Olive the cat is well-loved in the office, we had a little party. Days before the actual celebration, I was thinking of what to give as a present. Luckily, I’ve stumbled upon this DIY so I didn’t have a hard time. This is a project for a chunky knitted cat bed. One look and you’ll know it’s super comfortable. I watched the tutorial and it was very easy to follow. It wasn’t complicated at all! Why not try it out yourself? These would be perfect gifts for your pet-loving family and friends.